In the wake of Nintendo making waves on smartphones with the likes of Pokemon and Super Mario, it makes sense that other developers would want to ride this same wave of success. It would be great to see more console and PC game developers create games for mobiles. Here are some of the franchises that should come to smartphones. Nintendo has proven that they are committed to producing mobile gaming experiences, so it is likely that we will see a Legend of Zelda on smartphones before too long. As for what form it might take, then it could emulate something like Crashlands for example. The Legend of Zelda recently saw a hugely popular Nintendo Switch release and it would be great for non-Switch owners to enjoy a Zelda game on their smartphones. As Nintendo has done with previous smartphone releases it would be great for this to be an entirely new game rather than a port of a previous release, but anything Legend of Zelda on smartphones would be very exciting. Nobody can deny the success Dota 2 has seen. Since its start in Beta on Steam, it has seen a massive rise in players and it now rivals industry giant League of Legends. With massive prize pool tournaments, a constant stream of new characters and lots of outfits to collect for each hero, Dota 2 has a bright and long future. And part of that future could be on smartphone devices. Other MOBA’s like SMITE have announced mobile games that riff on games like Clash Royale and there is no reason why Dota 2 couldn’t do the same. It could easily bring all the charming characters we know and love to a new smartphone game. It would be great for fans and very lucrative for them, too. Since Dota 2 is such a massive e-sport a gambling community has grown up around it and the same could easily be true for any mobile release. The release of Crash Bandicoot trilogy remake has reignited a passion for the loveable bandicoot. The game has quickly become a bestseller across the world and as such it isn’t a huge leap to think that Sony would capitalise on this and release a Crash Bandicoot game for smartphones. Crash would easily fit into an endless runner game similar to the one Mario found himself in last year. 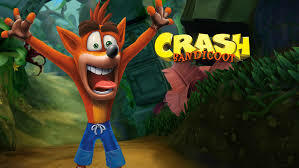 It is something that fans of the franchise would love as they’d get to play a Crash Bandicoot game on the go and it would be an entirely new game to boot.